Non essential planes of structural integrity. 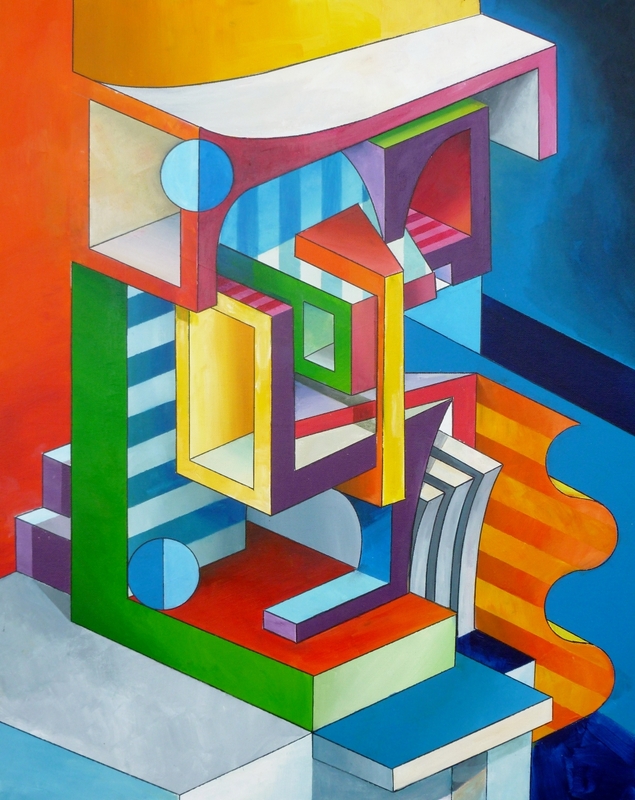 Structural elements and flat planes combine, maze like, into a twisting, turning representative of inefficient spacial integrity that bombards the senses with acid colours and irregular perspective. 6.25" x 5"10" x 8"13.75" x 11"17.5" x 14"21.5" x 17"25" x 20"